Onion Hybound seed and sweet peas were both sown in a propagator in mid February. Both are in cellular trays with the sweet peas at two per cell and the onions at several per cell. Once they germinate the onions will go into individual cells to grow on in the greenhouse which at this moment is not heated. However as other spring grown plants will also go under glass as well as a large stock of geraniums, I have a heater just in case winter decides to return to try and catch us out. 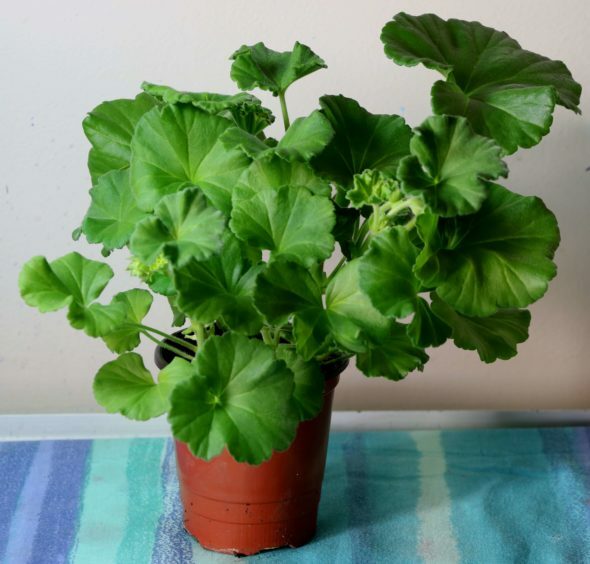 Geraniums were propagated from cuttings in autumn, then potted up once rooted and kept on windowsills, but now they all need potting up, but as space is limited they will go into the unheated greenhouse. Chrysanthemum stools lifted in late autumn, boxed up and overwintered in the greenhouse have just loved this mild winter as they are showing a lot of growth, so I took a large batch of cuttings putting them in cellular trays and keep them close to house windows, but away from direct sunlight. In another cool room with a north facing window I keep my seed potatoes in trays close to the light for chitting. If this mild winter continues I will gamble a wee bit and plant my first early Casablanca either at the end of February or early March. They will go in quite deep in case of late frosts and I will earth them up as they break through the soil. Hoping to pick the first spuds ahead of last year, when I dug up my first shaw the first week in July. Tuberous begonias are great value for flower impact, but they are always the last of the summer bedding plants to flower so I have started them a fortnight earlier than last year. My tubers must be heading for well over thirty years old, though most have been chopped up as I divide the big ones as long as each piece has a couple of buds showing. 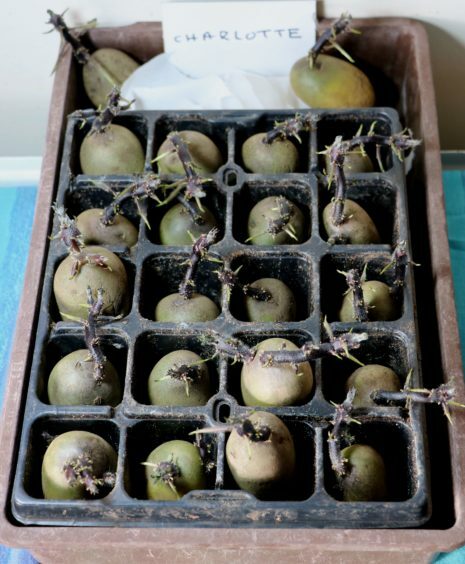 However over time they have become so misshapen I cannot tell which way is up, so they just go into boxes packed close together and covered with potting compost then placed in any warm room. At this stage they do not need light, but then once I see some buds appearing they will be removed and get boxed up with a bit more space and go into my greenhouse. Broad beans are scheduled for sowing in early March, but as the weather so far has been in our favour it has been a late February sowing with one bean per cell in cellular trays. They are kept indoors until germination then they go into my unheated greenhouse as they are quite hardy. 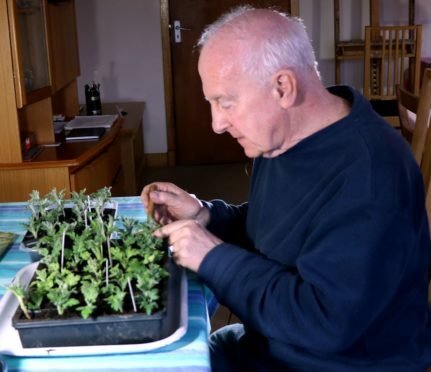 Tomatoes are also getting sown at the end of February on a windowsill. 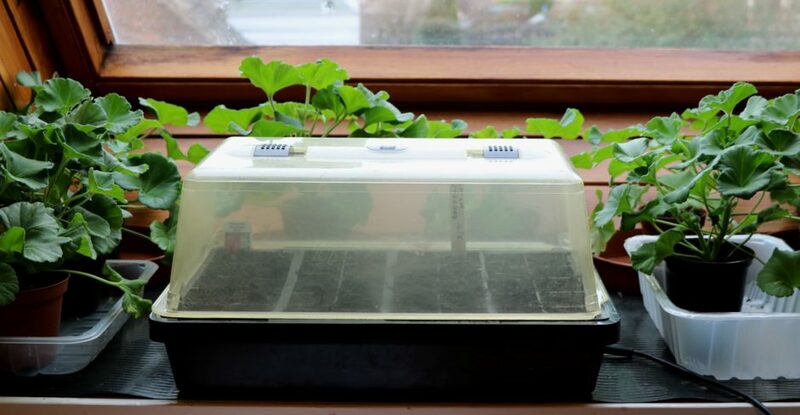 Once they germinate they will need more space so my large geranium collection will have to come off the windowsills and go into the greenhouse to make space for the tomatoes which are not hardy. I will continue to grow tomatoes in a soil border in the greenhouse instead of growbags, but I remove some soil, replacing it with fresh soil from the garden then add compost to increase the fertility. As soil is packed with all the nutrients and minerals the tomatoes need, I find this enhances the flavour. This year I will be trying out a few new varieties of tomato as well as some tried and tested types. Alicante never lets me down so it is always on the list together with the golden cherry Sungold which I found to be really sweet. Added to those will be Cherry Baby, Rapunzel, Sugar Gloss and Supersweet 100. Two varieties from last year include Marmande, a beefsteak which cropped very poorly and Yellow Delight which was extremely vigorous and a very heavy cropper, but with poor flavour. Under glass the grapes are still dormant, so the upright rods which were pruned in January can now get lowered so spur growth so buds break will be even from top to bottom. If left alone growth tends to be strongest at the top of the rod and weaker at the bottom. 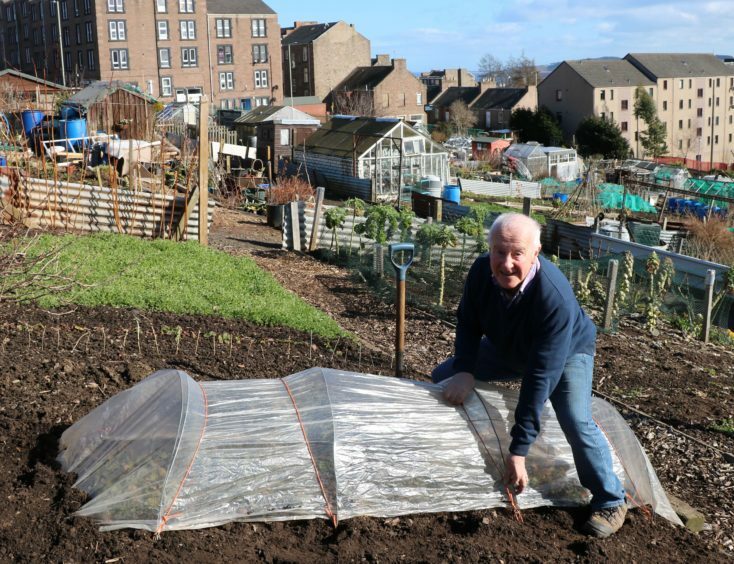 Early strawberry varieties can be encouraged to fruit a good fortnight ahead of normal if the rows are covered with low polythene tunnels. The varieties Mae and Christine are perfect as well as Honeoye. Make sure the polythene is well secured as we seem to be getting more gale force winds.